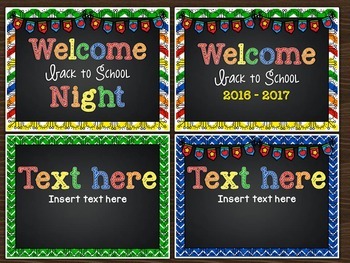 Chalkboard and chevron theme! 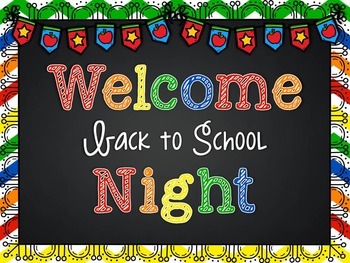 Welcome to back to school night! 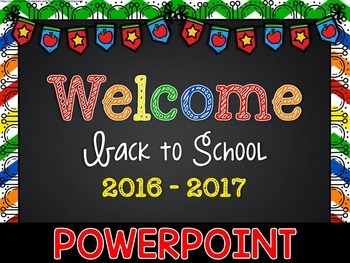 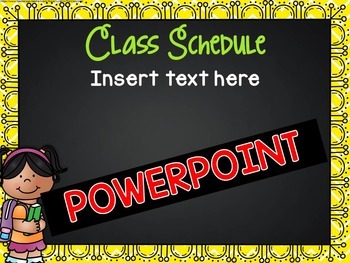 Library, Morning Routine, Field Trips, After School Care, Daily Folder, Weekly Folder, School Supplies, Birthday Policy, Celebrations, Transportation Procedures, Volunteering, Home & School Connection, Important Dates, Contact Info , 15 slides with images with empty titles.